LMM: What are you most looking forward to while touring with Tegan and Sara? NK: I’m personally a massive fan of visiting the capital cities as much as possible, they all seem to have their own personality. Last time we were in Perth we visited Fremantle and had the best breakfast. We always seem to have great laughs in the car during bouts of pure delirium (especially the Brisbane to Sydney drive, we all tend to act a little strange by the end of that one). I think I’m mostly looking forward to the whole tour though – you never quite know how your show is going to go or who you’re going to meet – anything can happen I guess – breaking up the tedium of day to day life is genuinely exciting. LMM: What can the uninitiated attendees expect at a Jezabels gig? LMM: Your also playing a number of festivals, Groovin the Moo and Come Together Festival. Do you prefer playing festivals or intimate gigs? NK: Both have their upsides and downsides – The sheer size of the stage at a festival is exciting in itself and that excitement usually ends up getting channelled through your music, but at the same time, the festival shows seem to be a bit faceless. At intimate gigs, it’s definitely more nerve racking – knowing people will tend to pay more attention to the finer details of the music, but it’s more rewarding, feeling as if you’ve made (or at least, have had to opportunity to make) a more meaningful connection with people. That probably sounds a little pretentious, but I’ve always tended towards the more intimate things in life – they seem to bear more meaning. LMM: Are there any festivals *worldwide* that would be your ultimate gig? NK: Just thinking about having the chance to go to Coachella has got me excited at different points in my life, let alone PLAYING at it, I think one year Cursive and Arcade Fire were on the same bill, incredible. It would be a dream come true. Having been a big Radiohead fan Glastonbury sounds quite appealing as well. I think the concept of ‘worldwide’ here is what seems like the ultimate gig – having the opportunity to get to another country in the name of music would be truly, well, ridiculous in my books. It’d be something I never thought possible. Oh, and All Tomorrow’s Parties – I’ve always dug how they have certain acts curate the festivals, and they seem to have a global perspective on music. Very, very cool. LMM: What is the most important lesson “life in a band” has taught you? NK: Hmm – it’s definitely reinforced some commonly heard platitudes, “Patience is a virtue” – “Hard work pays off” etc etc… I must admit I don’t think it’s taught me anything that is unique to being in a band. I think there are massive opportunities to learn things when you approach something you care about with with a sense of dedication and responsibility. There’s no doubt that I still have plenty to learn and obstacles to overcome – if I didn’t, I’d probably grow pretty bored in the band. To answer the question more directly here is something that I’ve come to understand (executing it is a different story): managing your expectations in life makes everything a lot easier. LMM: With the success of your first two albums, do you have any plans about touring overseas? NK: I’d love to say we have some definite plans but nothing is set in stone. We have every intention to make it to the four corners of the world (at some point) – but it’s always a question of money. If you’d like us to come visit you overseas make sure you buy a cd (as opposed to downloading it for free!) – that goes for any band really! LMM: Do you write new material while on tour? LMM: Finally, Tell us a secret… unappealing habit, biggest disappointment, happiest moment??? biggest disappointment: realising that as you grow older you don’t get more answers to your questions, rather, the opposite seems to be true… your questions quickly outweigh your answers and continue to do so at what appears to be an exponential rate. 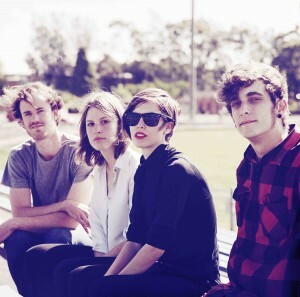 Click here for The Jezabels tour details.